The Garnier Fructis frizz oil is custom blended with Amla & Jojoba oil. It smooths and tames frizzy, unruly hair. You can use this in 5 ways to instantly transform your hair. This will leave your hair feeling shiny without leaving a greasy residue. I think this is great! I mean who wants to feel greasy and sticky after applying this product to the hair. Another good thing about this oil, is the many ways you can use this! Apply to wet or dry hair before shampooing to prime hair for gentle cleansing. Add 1 to 2 drops to conditioner to improve detangling. Apply to damp hair to dry faster than a conditioning cream leave- in. Apply to damp or dry ends to smooth split ends and tame flyaways. Work into wet or dry hair, leave in overnight to restore softness. So far I have only used this as an ends finisher. This is great for taming those out of control flyaways. I just use my hands to smooth them, but if you want to be fancy use a brush or a toothbrush no one uses. My hair is curly, so it gets tangled in the shower. The next time I wash my hair I will definitely add this to my conditioner. This product is so versatile! 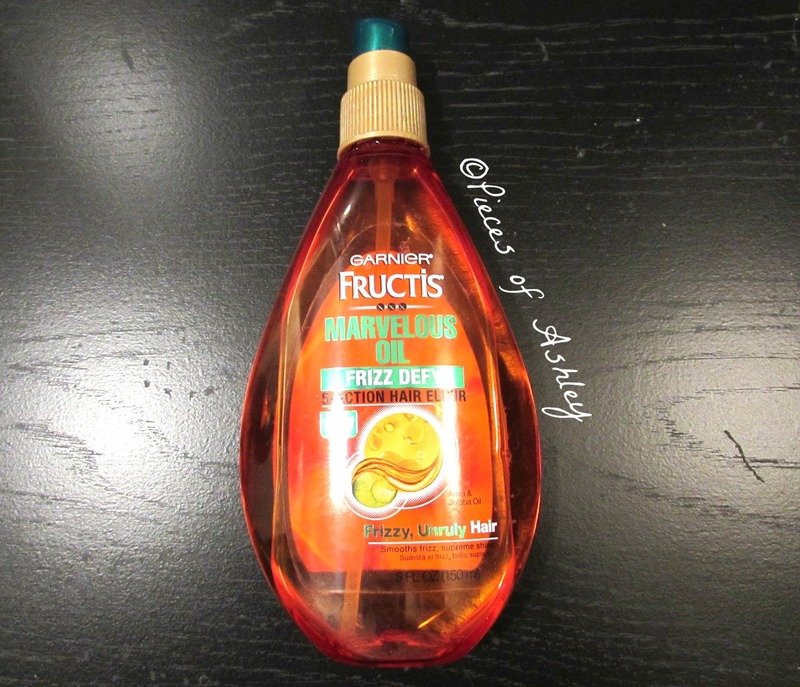 If I had to only bring 3 hair products with me on a vacation, it would be my shampoo, conditioner, and this Garnier Fructis oil. I feel like this will be a great product for a long time.